Put into the beading profile, Mauritius L only requires two poles and six guylines. 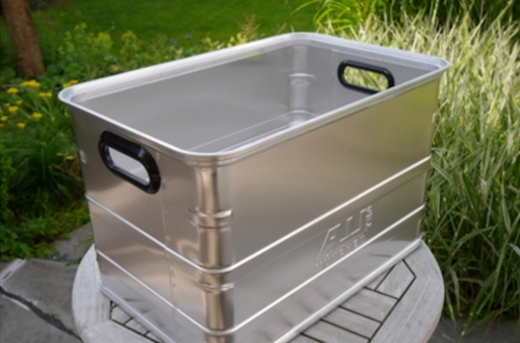 Folded in its pack sack, the awning is 61 x 15 x 15 cm small and weighs only 5,5 kg. The beading with 7 mm diameter and 250 cm length fits into Top-Rail or Multirail of many vehicles. Without much effort, the awning Mauritius L by Reimo is set up in front of your Bulli and offers plenty of shaded space. 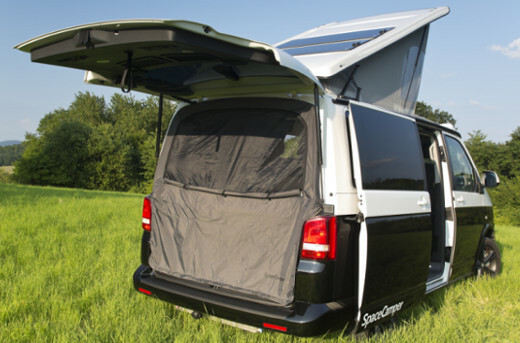 Even with a low hanging sun, the awning's long sides block those sun rays so you can enjoy the sunset. Packed together the sunsail Mauritius L takes up little space inside the vehicle. For whom is the awning Mauritius L a good match? 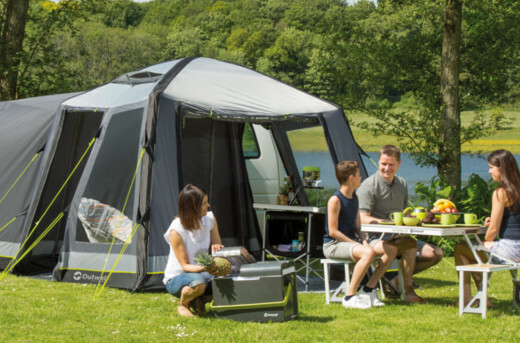 For single travellers who don't want to set up a big drive-away awning and all campers who travel to dry, warm climates the sunsail Mauritius L is the ideal companion. If an unexpected rain falls, the awning will still keep you dry. The material is waterproof up to 2000 mm of hydrostatic head. Which vehicles can be attached to the awning? The sunsail's dimensions are 300 x 510 cm with a 250 cm beading of 7 mm diameter. Since this awning needs to be attached to a beading profile, a Multirail, the Brandrup Top-Rail or similar equipment is necessary. Unfortunately, the beading profile of VW California Beach does not fit as the beading of Mauritius L is too small and falls out of the profile. The 250 cm long beading is a perfect match with VW T5 with a short wheelbase of 300 cm and other Bullis of other brands with a similar length. A larger wheelbase is okay, however, the awning is then rather small compared to the camping bus. The sunsail's height is 220 cm at the front steel poles. 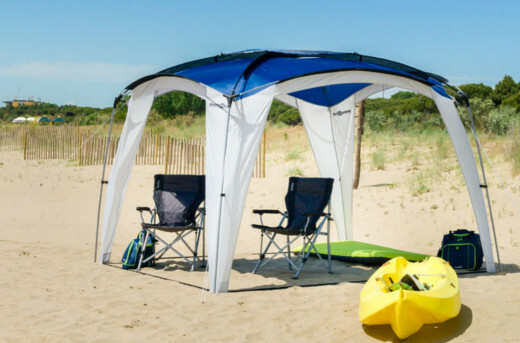 What is the packing size of the awning Mauritius L? Folded together in its pack sack, it is 61 x 15 x 15 cm wide and weighs 5,5 kg. When my boyfriend and I want to do a spontaneous trip to the sea, the awning Mauritius L is coming along with us. For these trips, we pick a sunny weekend to get away from the city. Just the two of us don't need a big drive-away awning when the weather is fine. The awning's shade is sufficient. Under the awning, we set up our camping table and chairs to enjoy a big breakfast in fresh air. Especially in those first sunny spring weekends, we regularily underestimate the sun (even more when there is a little sea breeze). The awning protects our skin from getting a sun burn. That's why I never miss to put it on our pack list. With its little pack size there's always a spot for it in our bus.